Many years ago, I received a call. 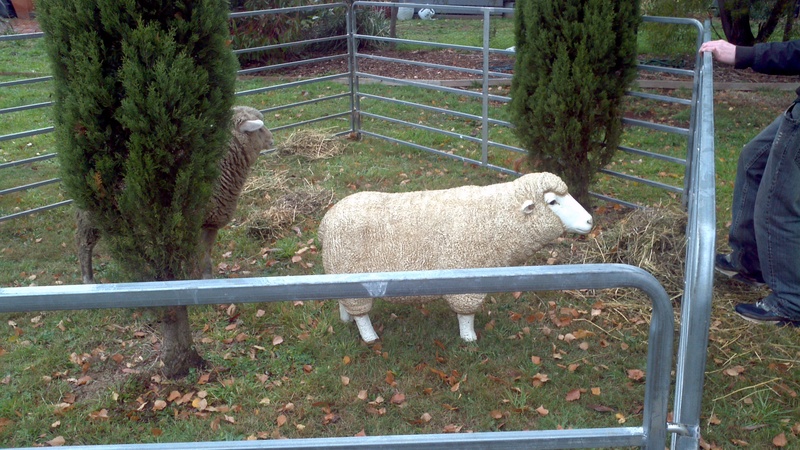 Did I know of a home for a ewe? She had been rescued as a lamb, raised as a member of the household, but her carer could look after her no longer. It was lucky that I did have such a home available. 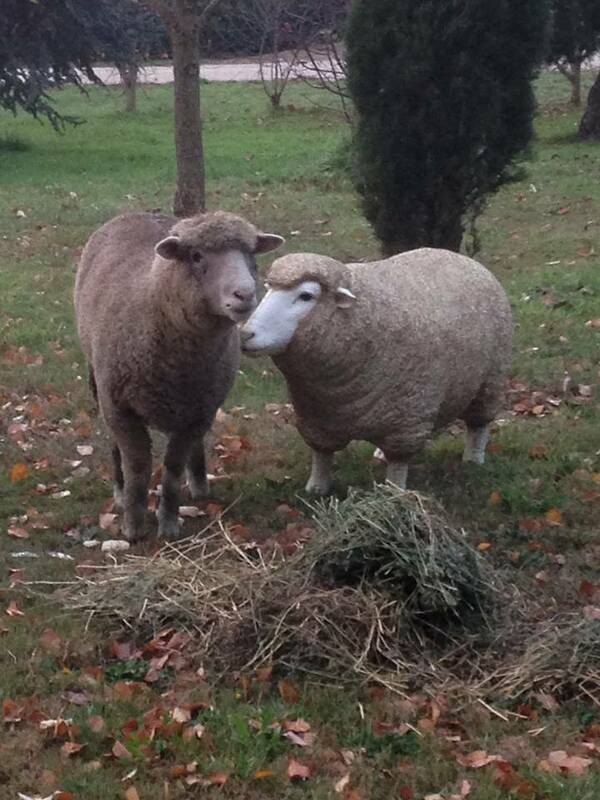 A friend had a pet sheep, and she needed a companion. 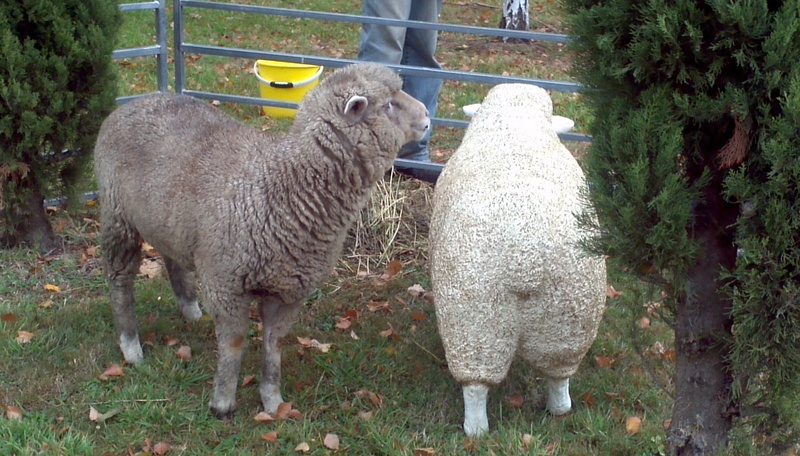 So Blossom, as the ewe is named, made her way to a new home and lots of love and care. Her companion died at an advanced age, and when her carer went on holidays, Blossom would stay with us. Sadly however, Blossom’s carer became gravely ill and the time came when Blossom came to live with us permanently. She joined the flock however was always keen to come into the house, as she had done as a young sheep at her first home. Then one day I noticed Blossom walk into a tree. Examination showed she had developed cataracts, and sadly, unlike in humans, this is not a condition that can be treated surgically. So Blossom moved into our special care yard, with a shelter for nights and extreme weather, and is hand fed. She has a variety of companions, depending on who is in the care yard as well. Blossom is now at an advanced age so we make sure she has gentle friends. 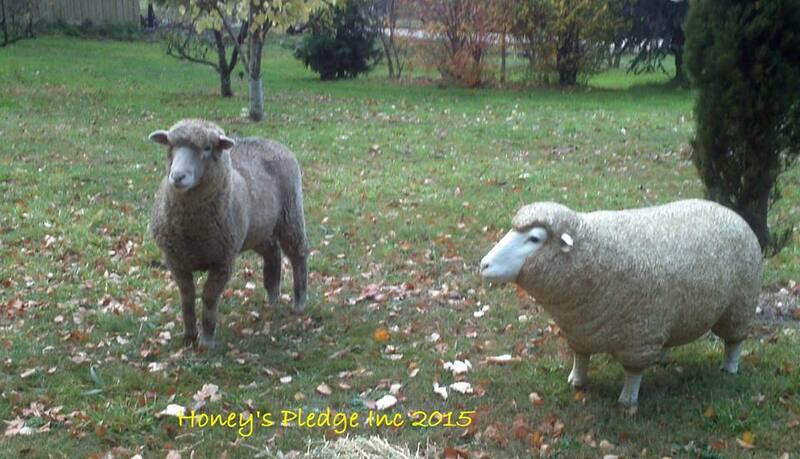 Recently two young lambs joined us. 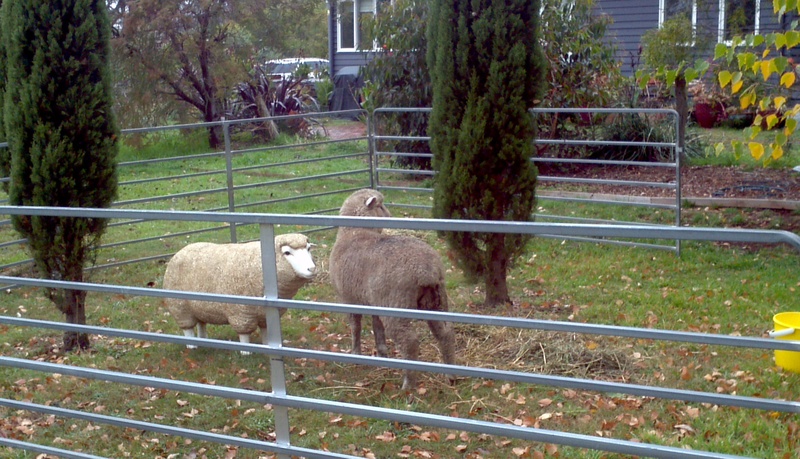 Quincy had been found alone in a paddock, with no mother in sight. The farmer decided to surrender him into care. On arrival to the sanctuary he was found to have a condition that reduced his sight…and this was likely the reason he had become separated from his mother as the flock moved on. Luckily this little man had landed on his hooves at a sanctuary that could and did, provide him with the necessary surgery to correct his loss of vision. Quincy and his friend, Smudge, came to us and moved in with Blossom until they are older an able to join the main flock. Over the weeks I had noticed that Smudge would go on adventures, but Quincy always stayed close to Blossom. Blossom has lost her sight and can never regain it. Quincy lost his sight and his Mum, but his sight is now back. Somehow I feel Quincy is preparing to be Blossom’s eyes, while she provides him with a quiet safe presence, just like a Mum.